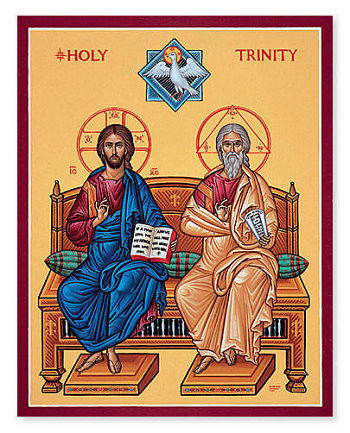 HAPPY SOLEMNITY OF THE HOLY TRINITY! On this GREAT OCCASION we begin: IN the Name of the Father, and of the Son, and of the Holy Spirit, AMEN! Ant 3: Glory and honor to God in three Persons: Father, Son, and Holy Spirit; glory and praise to Him for endless ages. Praised be the God and Father of our Lord Jesus Christ, who has bestowed on us in Christ every spiritual blessing in the heavens. God chose us in Him before the world began to be holy and blameless in His sight. He predestined us to be His adopted sons through Jesus Christ, such was His will and pleasure, that all might praise the glorious favor He has bestowed on us in His beloved. In Him and through His blood, we have been redeemed, and our sins forgiven, so immeasurably generous is God’s favor to us. God has given us the wisdom to understand full the mystery, the plan He was pleased to decree in Christ. A plan to be carried out in Christ, in the fullness of time, to bring all things into one in Him in the heavens and on the earth. [My children, prepare, for the hour of the Antichrist has come, and his moment will burst upon the world like a thief in the night. Remember, children, that satan is a liar and a murderer from the beginning. Thus, the son of perdition, the true son of satan, will copy his unholy father. He will lie at first, and then become the murderer he truly is. Glory be to the Father, and to the Son, and to the Holy Spirit. One God, forever and ever, world without end. Amen! How deep are the riches and the wisdom and the knowledge of God! How inscrutable His judgments, how unsearchable His ways! For from Him and through Him and for Him all things are. To Him be GLORY forever. Amen. Father, You send Your Word to bring us truth and Your Spirit to make us holy. Help us to worship YOU, One GOD in three Persons, by proclaiming and living our FAITH in YOU! with You, and the Holy Spirit, one God, forever and ever. Amen! 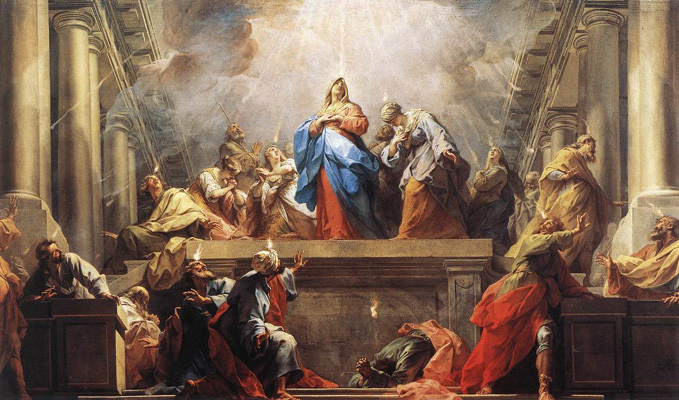 TODAY IS PENTECOST! 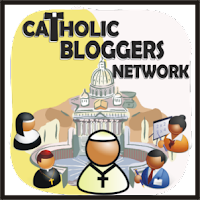 Did you follow those THREE simple steps in Day 9 of the Novena? Have YOU invited God’s Holy Spirit into YOUR heart? The origins and prescriptions for the feast of Pentecost can be found in : Numbers 28: 17-25, and in Leviticus 23: 23-37. It was a feast of celebrating first fruits by offering up with fire burnt offerings of said first fruits, drink, and unblemished male animals. 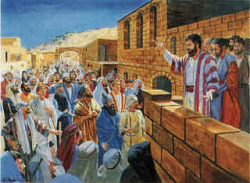 Pentecost, like Passover, was a MAJOR FEAST and one that required all Jews in the land to attend (if they could) the ritual celebration offered in the Temple of God. A liturgical feast among the Jews and the Christians. 1. Among the Jews a harvest feast, called Pentecost, was celebrated about seven weeks after the Passover or Pasch. This feast later commemorated the promulgation of the Ten Commandments on Mount Sinai. There’s that reference to the number Seven…remember God’s Perfect offering to His people? 2. 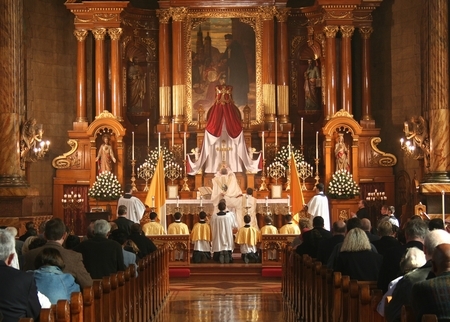 The Christian feast falls on the seventh Sunday after Easter. It commemorates the descent of the Holy Spirit upon the Apostles. It is a harvest-feast of Christ, since on that day Christ’s Apostles, through the power of the Holy Spirit, lost their fear, went forth and preached courageously, and baptized thousands a great harvest of souls for the early Church (Acts 2:1-41). This prophecy is rich in apocalyptic imagery and strongly eschatological in tone. It was composed about 400 B.C. Its prevailing theme is the day of the Lord. A terrible invasion of locusts ravaged Judah. So frightful was the scourge that the prophet visualized it as a symbol of the coming day of the Lord. In the face of this threatening catastrophe, the prophet summoned the people to repent, to turn to the Lord with fasting and weeping. They were ordered to convoke a solemn assembly in which the priests would pray for deliverance. The Lord answered their prayer and promised to drive away the locusts and bless the land with peace and prosperity. To these material blessings would be added an outpouring of the Spirit on all flesh. St. Peter, in his first discourse before the people at Pentecost (Act 2:16-21), sees in the coming of the Holy Spirit the fulfillment of this promise (Joel 1:1-2:32). When the day of Pentecost had come, they were all together in one place. And suddenly a sound came from heaven like the rush of a mighty wind, and it filled all the house where they were sitting. And there appeared to them tongues as of fire, distributed and resting on each one of them. And they were all filled with the Holy Spirit and began to speak in other tongues, as the Spirit gave them utterance. ~Acts 1: 1-4, emphasis added. Now Peter, humble, lowly Peter – who had denied Christ three times the night Jesus was betrayed- who had not the courage to speak up before this… (Check back and see how many times Peter actually spoke in the Gospel passages and you’ll see they are few and far between), this quiet fisherman – gifted with the Holy Spirit – all of the sudden becomes BOLD and strong with authority! Remember, they’re in Jerusalem, it’s crowded there, in fact we’re told at the end of this passage that some 3,000 were in attendance for Peter’s speech because they were baptized by Peter and the apostles at the end of his speech (Acts 2:41). That’s a lot of people no matter where you’re at! And yet, Peter spoke, he spoke with clarity and BOLDNESS, he held nothing back, and ALL WHO WERE PRESENT understood him! But THIS is what Peter SAID in return. Pay close attention, he’s also talking to YOU..
‘And in the last days it shall be, God declares, that I will pour out my Spirit upon all flesh, and your sons and your daughters shall prophesy, and your young men shall see visions, and your old men shall dream dreams; yea, and on my menservants and my maidservants in those days I will pour out my Spirit; and they shall prophesy. We’re told in the Gospel of Luke (NAB translation) chapter 23 verses 44-45 that there was an “eclipse of the sun” which caused darkness to descend over that part of the earth from Noon until 3pm when Jesus expired. Have you ever seen an eclipse of the Sun, when the moon comes between the earth and the sun? “Men of Israel, hear these words: Jesus of Nazareth, a Man attested to you by God with mighty works and wonders and signs which God did through Him in your midst, as you yourselves know— this Jesus, delivered up according to the definite plan and foreknowledge of God, you crucified and killed by the hands of lawless men. Scripture, scripture, scripture! Jesus and the healing of the paraplegic and the forgiving of his sins (Mt 9: 1-8), Jesus at the wedding feast in Cana where water became wine (Jn 2: 1-11), Jesus healing the blind, the sick and the lame (take your pick on those), and then Jesus raising those who have died (Luke 8: 49-56; 7: 11-17; John 11; 17, 38-44), many signs and wonders indeed! “Brethren, I may say to you confidently of the patriarch David that he both died and was buried, and his tomb is with us to this day. Being therefore a prophet, and knowing that God had sworn with an oath to him that He would set one of his descendants upon his throne, [David] foresaw and spoke of the resurrection of the Christ, that He was not abandoned to Hades, nor did His flesh see corruption (see Ps 16:10). This Jesus God raised up, and of that we all are witnesses. Being therefore exalted at the right hand of God, and having received from the Father the promise of the Holy Spirit, He has poured out this which you see and hear. The testimony of the 11 Apostles, the physical evidence before those assembled – after all, they were still hearing the message in their own tongue – so why should they not be just a bit shaken? 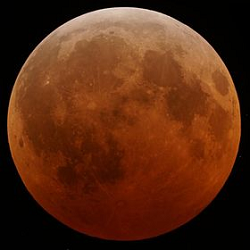 Probably most if not all of them where here in Jerusalem for the Passover as well, and may very well remember that Blood Moon that rose after the crucifixion of the prophet they called Jesus. So it’s no wonder that they were “cut to the heart” and asked Peter what they should do. Did you hear that? SAVE YOURSELVES FROM THIS CROOKED GENERATION!!! Make no mistake about it, this generation is beyond pale with wicked deeds from the murder of over 55 million babies (and counting), to the breakdown of the family and MARRIAGE (which IS between one man and one woman), and the destruction of our youth that managed to survive past the scourge of abortion that has claimed so many of their peers. We are in true evil, pure evil, whose only intent is the death and destruction of mankind, a.k.a. God’s own creation (cf. John 8:44). Holiness is not achieved in a day, but achieved DAY BY DAY, moment by moment, it IS a LIFETIME endeavor. But not one you do on your own, that’s what GRACE is for, and that comes ONLY from God. Come Holy Spirit, fill the hearts of the faithful, enkindle in the them the Fire of Your Love. Send forth Your Spirit and we shall be created, and You will renew the face of the earth! and ever to rejoice in His consolation.